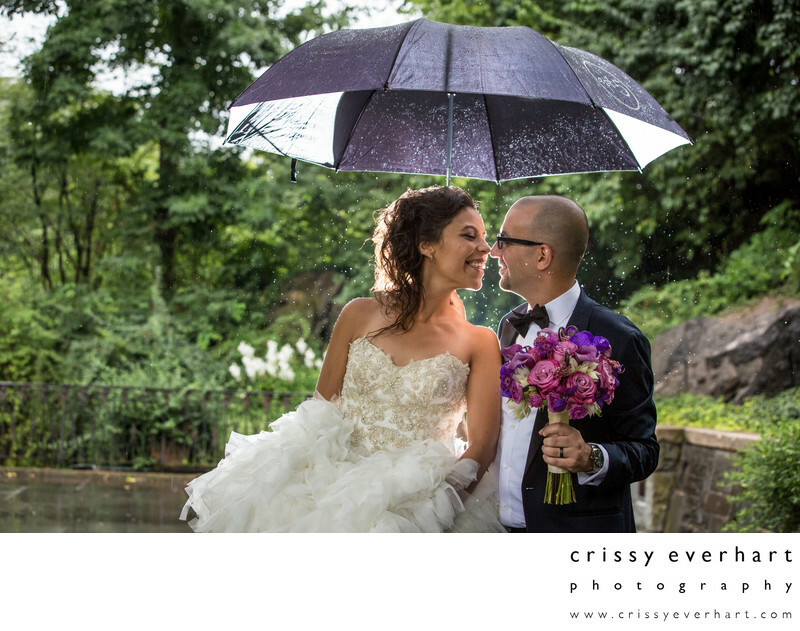 Mexican bride and Egyptian groom nuzzle under an umbrella on their wedding day in the Conservatory Gardens in Central Park, New York City. The groom holds the bride's flowers as she holds up her dress to keep it from getting wet. The image is backlit to accentuate the raindrops behind the couple.